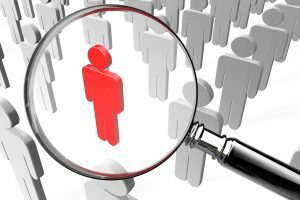 How Important is a Background Check to the Hiring Process? Employers need to face a fundamental question for themselves: how important is it to run a criminal background check for employment? For some industries, running these checks is one of the most important aspects of applying for a job, because it clears someone to handle money or to drive long distances without becoming a liability to the company. In this guide, you’ll learn when to start doing background checks, and what you need to provide to potential employees in order to conduct one. The moment you’re ready to hire your first employee, you should start instituting a policy to conduct pre-employment checks. They are affordable, and they can be used as a tool to help find the best qualified candidates for a job. In some states, such as California, it’s really important that you treat every candidate as a potential (regardless of criminal history). Therefore, if you decide to rescind an employment offer upon discovery of a crime in someone’s past, you’ll need to be prepared to show how that decision might affect your business. If you inform candidates when they apply, then you should be ok in most states. Running instant background checks involves learning some very personal and private details about someone’s life, so you need to be careful about how you approach the topic. You should make sure that you’re following the rules of your state. The first step is to look up some information in your local chamber of commerce, and to speak with an attorney if possible. They should be able to point you in the right direction to learn more about the laws of your city and state. Also, be prepared to offer the potential employee a copy of the check you ran, and a disclosure explaining why that check disqualified them from the job (if that applies). New hires working with sensitive data, or in a position that may affect company insurance or day-to-day operations, should receive a background check. It’s a good idea to make sure you’re working with someone trustworthy. Background checks are inexpensive. Narrow down your candidates until you find a few you like, then discuss background checks with each one and run them as needed. In short, not every business will find themselves in need of a background check. Most businesses would benefit from running one, though, and far fewer are making that critical decision. Make 2017 the year you begin checking your employee’s history of employment. Bio: Specializing in both criminal background checks, and tenant screening, Tenant Screening Services, LLC offers instant reports and pre-employment checks available online.